Although I’m a herbal remedy nut I’ve never really got on board with flower essences or flower remedies. Subtle and gentle enough to use even on our babies and pets I wonder whether it was my disappointing results with the Bach Rescue remedy that impinged me delving further into the world of flower remedies. Over the years as I have completed courses in herbalism I saw flower remedies or flower essences pop up in various books and curriculums and my interest was sparked again. For Christmas one year I got a tiny little book of the Bach remedies (which is excellent by the way-see link at bottom of this post) which soon became well thumbed and loved. I was ready to give flower remedies another go! 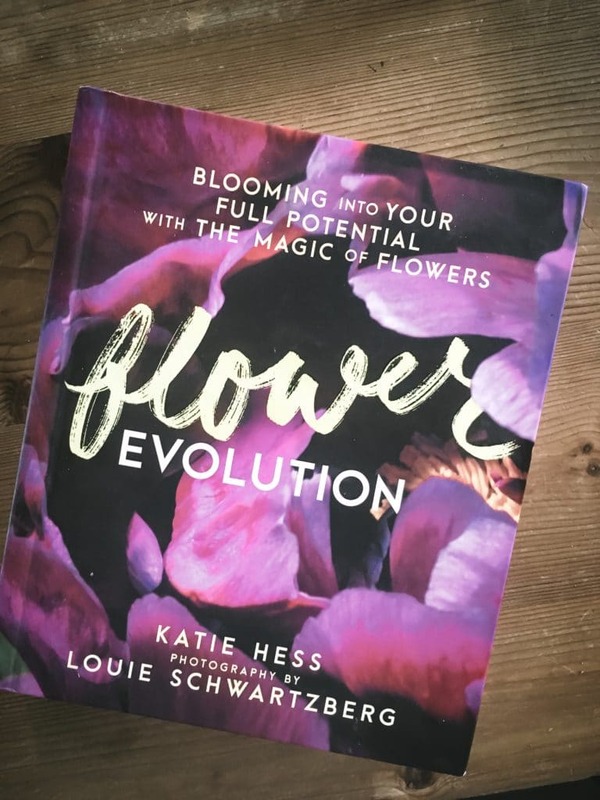 For my Nature and Nourish book club we chose Katie Hess’s book Flower Evolution as the March read. It’s a beautiful tome, huge and crammed with intricate flower photos by Louie Schwartzberg. It is a very modern approach to flowers and their healing powers and an excellent beginners guide to the art of flower essences and flower remedies. The book is divided into two, the first section is dedicated to learning why and how flower remedies work with Katie’s story woven throughout it. There’s lots of incredible case studies included too and as well as how to use the remedies successfully (also for yourself, pets and loved ones) and a large Q&A chapter. Despite this first section being pretty long I devoured it in one sitting, more and more convinced and excited to dive in! The second chapter has an array of flower profiles, who they suit and ideas for usage. This wasn’t as useful for me as it’s rather American based, we don’t have a lot of the exotic flowers that Katie mentions and works with herself but there where a few familiar flowers amongst them and I really enjoyed intuitively picking the flowers that “called” me and realising their meaning was spot on! Overall this book completely hooked me onto the idea of flower essences and flower remedies, as well as answering any questions I had as well as showing the scientific basis of how these work as well as the more intuitive reasons too. What are Flower Remedies and how do they work? -Flower remedies or flower essences or elixirs are liquid infusions of flowers in water. This is then diluted down and preserved in an alcohol such as brandy. -Flower remedies can be taken internally or externally. -It’s be proven that each flower has it’s own pattern of energetics. These can effect our own energy in a positive way. Do you feel happy in nature? Well this is the energetics at work! -Scientists are learning that bees are actually attracted to certain flowers through the flower’s energy. There’s lots of research being done into flower energetics at the moment and it’s mind boggling! A whole new world for sure! -Water has been scientifically proven to capture and record flower’s energy. -Take 5 drops of flower remedies 5 times a day in water or on the tongue. -Less is more with flower remedies. -Don’t expect immediate results, be patient! -You should feel effect within a few days or up to a month in some cases. In general it takes 21 days for the flower remedy to work it’s flower magic! For trauma try 2 months. -Katie Hess writes about a three phase process when working with flower remedies, phase one is the “honeymoon period” where you may feel more balanced in tune and the main cause for which you are taking the remedies slipping away. This becomes your new baseline. Phase two is about a reawakening of self awareness and emotional balance. And Phase three often brings a “weeding out process” where you are able to make choices that benefit your life and remove toxic things from your life as well as quitting limiting beliefs and behaviours. Read Katies’s book Flower Evolution for lots more on these phases and case studies too. -Flower remedies are very gentle and can be an excellent remedy for babies and pets where herbs and essential oils could be too potent. 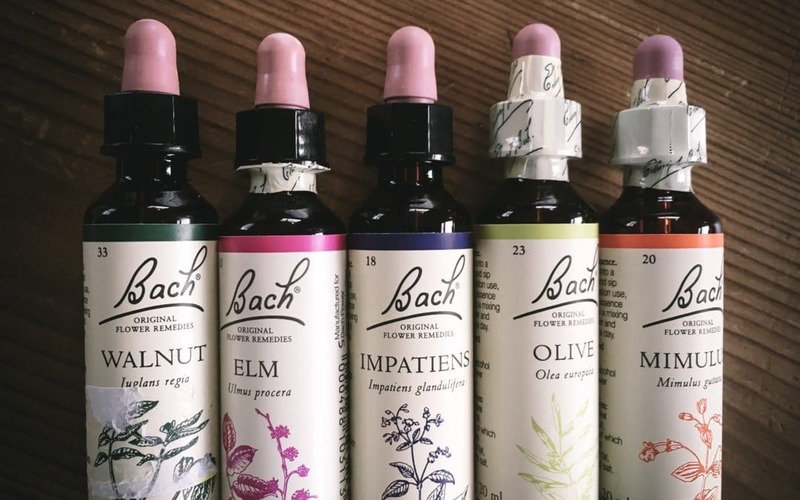 -If you live in Europe or the UK you’ll probably be aware of Bach’s flower remedies as these are the most commonly found in health shops, however there are plenty of other small artisan brands to explore! See the resources section below for some of my picks. -Like all things, taking flower remedies will work even better alongside a mindfulness practise such as meditation, eating good food and taking care of oneself. 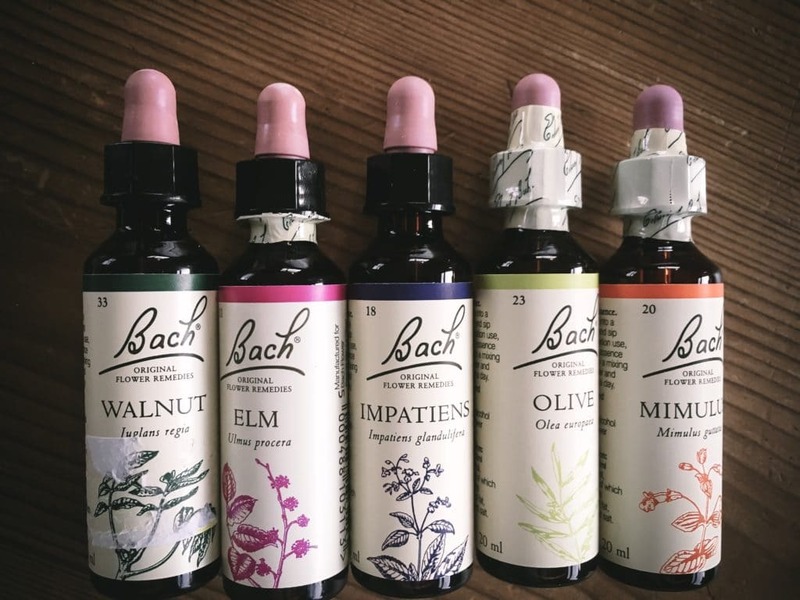 Well, after reading Katie’s book I decided to pick a few of my favourite Bach remedies and give it a go! 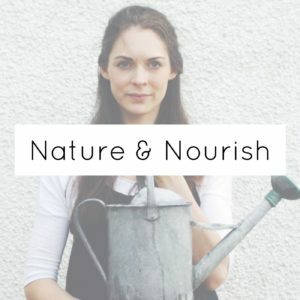 I chose a selection of remedies based on my current situation of exhausted and very pregnant mum! I hope these will support me post-partum. I also chose two remedies to help with anxiety and my lack of patience (!). I’m going to be taking these daily for at least a month and will report back! I’m also really keen to test out Katie’s beautiful remedies and her subscription service but I’ll have to wait until I’m feeling a bit richer before forking out for that I think! Flower Remedies and Essences Where to Buy and How to Learn More?